108 Hobbs Circle- Well Kept Home in Great Neighborhood! 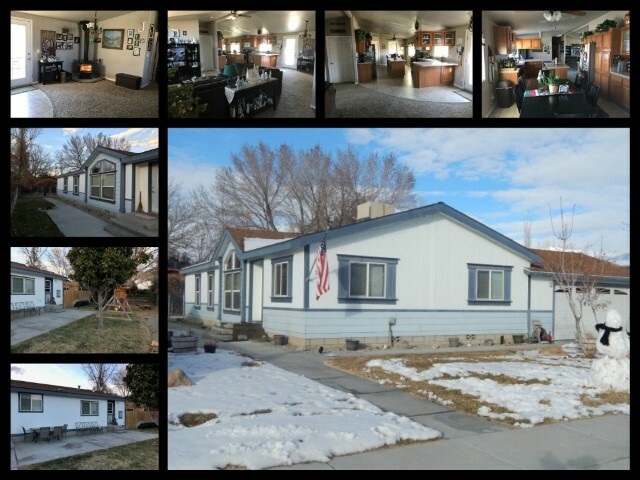 108 Hobbs Circle is located in Bishop California, in the desired Dixon neighborhood. This friendly neighborhood is just outside the city limits, and you will often see your neighbors out walking with their families and pets. This well kept 3 bedroom 2 bathroom home with office/playroom and an open floor plan. The large kitchen offers an island, breakfast bar and formal dining area. The living room offers a wood burning stove for those cold winter nights, and dual pane windows throughout. The expansive master bedroom offers a master bath, including a garden tub. The low maintenance yard has a fully fenced backyard with uncovered patio. 2 car attached garage with room for shelving, for storage or tools. Views of the Sierra Nevada and White Mountains from the front and back yards, perfect for watching the sun rise and set. The Dixon Lane neighborhood is located on the North end of Bishop California. This is a neighborhood with lots of surface streets and cul de sacs, perfect for riding bikes and walking. The canal is right around the corner and has great fishing. There is a community water association that provides water and sewer connections to each property. This neighborhood is sought after by families and outdoor enthusiast. The prices range from $200,000 to $300,000 and the sizes of the homes are between 1,200 and 1,700 square feet.